While I have quite selective personal tastes in wristwatches, I do not consider myself a “watch snob” because I appreciate a wide variety of watches from a wide variety of brands for a wide variety of reasons. That said, though, when it comes to watches for myself − i.e., watches that I would actually consider spending my hard-earned cash on rather than simply pontificating about on a purely intellectual basis − I have a fairly narrow frame of reference: independents, in-house movements, superlative hand-finishing. So, basically my personal preferences tend toward watches that I generally cannot afford. And I’m fine with that. Liking high-end watches and living near Geneva is as much of a hardship as liking art and living beside the Louvre in Paris. But if my criteria for a watch for myself is something with an in-house movement and superlative hand-finishing from an independent watchmaker, why on earth am I sitting here typing about this watch from a big (for me) brand that is outfitted with an ETA 2892 movement with an industrial finish? Why on earth did I buy a new Corum Bubble? The background was a meeting my Quill & Pad partner Elizabeth Doerr and I had with Corum at Baselworld 2015. It was a meeting like seemingly hundreds of others where the brand presents the latest collection, and we try and get as much information and as many photos as possible. I’m usually so focused on taking photos as quickly as I can that I often don’t even notice what I’m shooting. But in this particular meeting I found my gaze attracted by the watch on the wrist of our host, Corum’s then-acting CEO, Jacques-Alain Vuille. I tried to concentrate on my work, but couldn’t stop glancing at his wrist and thinking how good the watch looked. Then I heard the size: 47 mm! I thought that was great news because it meant that it would certainly be too big to sit comfortably on matchstick wrists like mine. Unfortunately, I then tried it on. And the strap fell nicely down from the lugs, and the Bubble sat very securely and comfortably on my wrist. By this time I was looking for reasons not to buy and was having trouble understanding why that was so difficult. Then I had a brainwave: water resistance. If (and that still appeared to be a crazy if) I did buy a Bubble, then it would be a fun holiday watch . . . so it would have to be water resistant. Ideally, for that purpose I would want a water resistance of 100 meters and thought that the Bubble was unlikely to have more 50 meters. So I asked and was told that the water resistance was 50 meters. And thought great, now to move on from this fleeting obsession and get back to work. But then I looked carefully at the back of the Bubble and saw “Water resistance 100M.” And learned that was, in fact, correct. And then I surprised myself by saying: I want to buy one. And I did. In early September I went up to Corum in La Chaux-de-Fonds to pick my new Bubble Vintage up. So why did I buy a Corum Bubble in general and this specific model, Vintage (bronze color), in particular? It really struck me visually how good the Bubble looked on somebody else’s wrist. And while how a watch looks on somebody else’s wrist is likely to be as informative as choosing a dress that looks good on a supermodel, it’s a powerful image. For a large watch, and at 47 mm in diameter by 19 mm high the Bubble is a very large watch, it sits very comfortably and securely on the wrist. My wrists are so small I needed the short strap and it still fits nicely. I put that down to the lugs bending down to wrap around the wrist. It’s funky. I had no idea that I was a fan of 1970s funk, but I am with this Bubble. And it’s not just the shape of the case and that enormous bubble crystal that scream FUNK. The shape of the hands and numerals are just perfect for the setting. I liked the brown Vintage Bubble from the get-go as I thought the color perfectly suited the funky ’70s vibe. The black version looked a bit too contemporary for me and the skeleton dial didn’t pop (because there is no dial). The Bubble is practical. And by that I don’t mean versatile and ready for work or play (I can’t see it fitting under many cuffs), but that automatic winding, 100-meter water resistance, and a screw-in crown make for a watch that you can wear and forget (although you can only really “forget” if you look the other way). How often do you need to read the time? With those big Super-LumiNova-filled hands and numerals that are further magnified by an integrated lens in the crystal, the Bubble is a very legible watch. But it’s only legible when you are looking perpendicular, meaning straight down, at the dial. From any other angle the dial is completely invisible and the time unreadable as it is too distorted by the Bubble’s bubble. Do you need a date? Can you live with the date? The biggest, and perhaps only, faux pas I can think of in the design of the Bubble is keeping that date. It’s proof positive that just because you can use something doesn’t mean you should. The minuscule date hidden deep in the numeral 6 is completely unreadable unless with a loupe, and just looks like a flaw in the dial. The unlimited skeleton Bubble is considerably cheaper than the All Black and Vintage (brown), but the open dial reduces legibility. However, as you can only read the time if deliberately looking straight down at the dial, then that may not be an issue. I’ve been wearing my Bubble for a few weeks now − including while on holiday − and am still smiling. It’s a large watch and it did take a few days before I was comfortable with the size and weight, but that soon passed. The Bubble collection in 2015 consists of two limited editions of 350 pieces each, the Bubble Vintage and Bubble All Black, as well as an unlimited model with open dial. If you missed it, please check out The Corum Bubble Is Back! 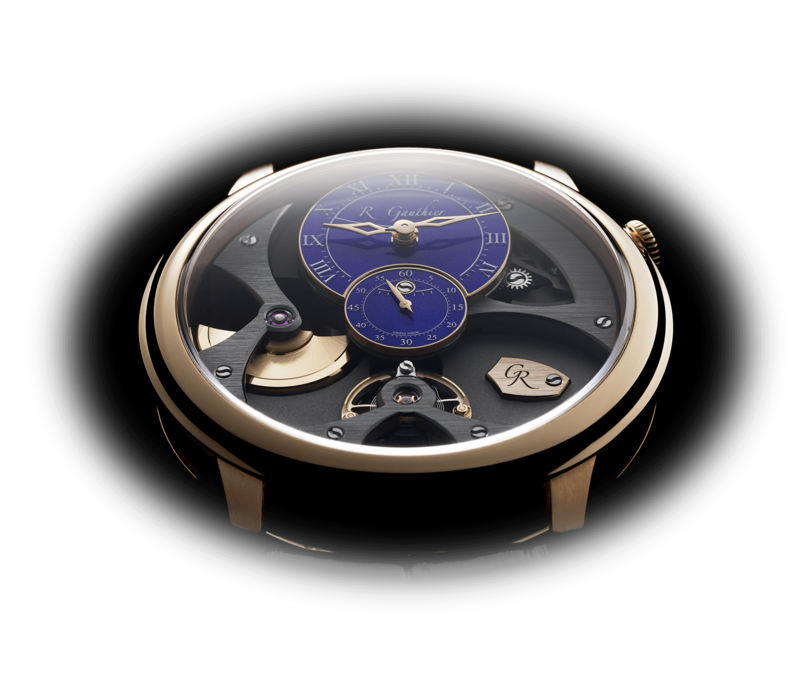 This article was first published October 6, 2015 at Why I Bought It: The Corum Bubble Vintage.